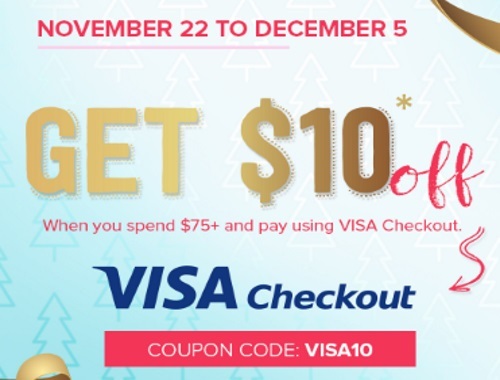 Well.ca is offering $10 off when you spend $75 or more and pay using your Visa Checkout! Enter the promo code VISA10 at checkout to get the discount. Offer is valid November 22-December 5, 2017.